Smithsonian National Museum | Washington, D.C.
June 26, 2014 — Cut and polished howlite specimen(s) from Tick Canyon (Santa Clarita Valley) on display in the Smithsonian National Museum of Natural History in Washington, D.C.
Howlite — Ca2B5SiO9(OH)5 — is a calcium borosilicate hydroxide (a borate mineral) that forms when crystals are left behind from an evaporative process. It usually occurs in nodules, as seen here; it can also occur as crystals, which are quite rare. 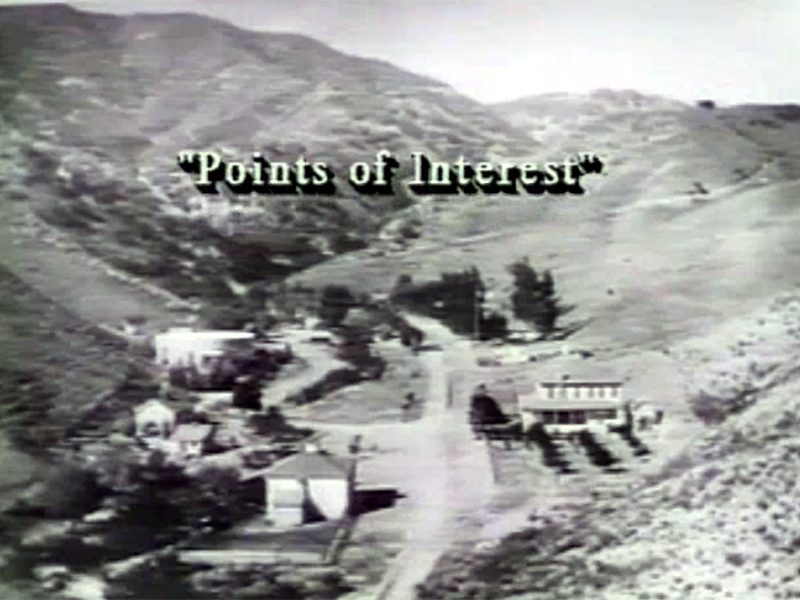 The crystal form (not seen here) was first discovered in Tick Canyon. 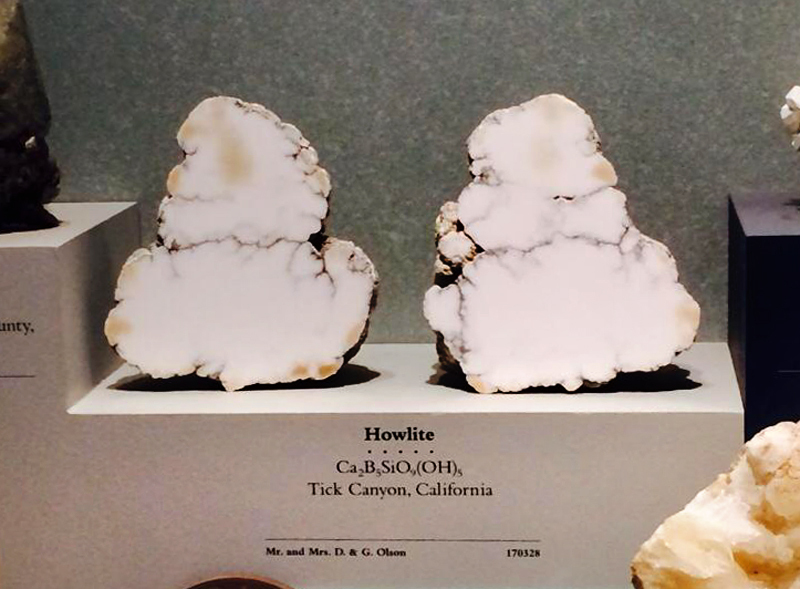 Included in the Smithsonian's display are howlite from Tick Canyon and other types of borates from the world's primary source of borax: the U.S. Borax (now Rio Tinto Borax) mine in Boron, Calif. Prior to the name change to Rio Tinto (and for a little while after), U.S. Borax was headquartered in Valencia. the U.S. Borax open-pit mine in Boron, California, is one of the world's largest borax mines. Borax is used in detergents and pottery glazes. It is also a source of boron — important in making glass, fertilizers, pesticides, fire retardants, and stealth military hardware. AL1401a: 19200 dpi jpeg from digital image by Dr. Alan Pollack.